Skin sensitivity is unfortunately constantly on the rise these days, with more people than ever before seeking advice to help alleviate sensitive or sensitised skin. If you’re one of those people who always tick the “sensitive” or “reactive” box when you’re visiting your favourite beauty professional then please, read on! There are two primary contributors to common skin redness. Immunogenic inflammation is where the immune system launches a cascade of inflammation and involves the activation of white blood cells, and neurogenic inflammation is triggered by the nervous system. In both cases, the person experiences pain, redness, itching, swelling and heat associated with inflammation. Our skin is designed to respond to trauma or bacterial invasion by initiating an inflammatory response, and it’s this acute response that allows the skin to heal and repair itself. When the assault on the skin is persistent or repeated however, the inflammation becomes chronic and the effect on the skin is devastating – including the loss of skin strength and support. The term currently used by some to describe this destructive process is “inflammageing”, but that’s another story! We’re talking redness and irritation here, and a product I’ve recently discovered that is the perfect salve for both. An Allure Best of Beauty Winner in 2013, SkinMedica Redness Relief CalmPlex provides clinically proven results when counteracting the effects of skin conditions like overall sensitivity and rosacea that can cause redness and irritation. Soft and deliciously non-sticky, SkinMedica Redness Relief CalmPlex is a gentle formula that can help comfort and alleviate redness in all skin types. The little pot of goodness’ proprietary ingredient, CalmPlex, helps to calm and soothe, while niacinamide helps to minimize inflammation, strengthen the skin barrier and facilitate repair. The CalmPlex formula essentially reduces the skin’s redness and irritation by inhibiting the release of prostaglandin E2 so it instantly soothes the skin, and reduces the visual effects of minor skin irritation Hydrating ingredients like glycerin, squalane and jojoba seed oil are also in there to help balance the complexion. This lightweight cream-meets-lotion will also never clog pores, making it great for everyday use. Amazing! If - like me - you’ve been battling sensitivity of late then I can’t recommend this enough. 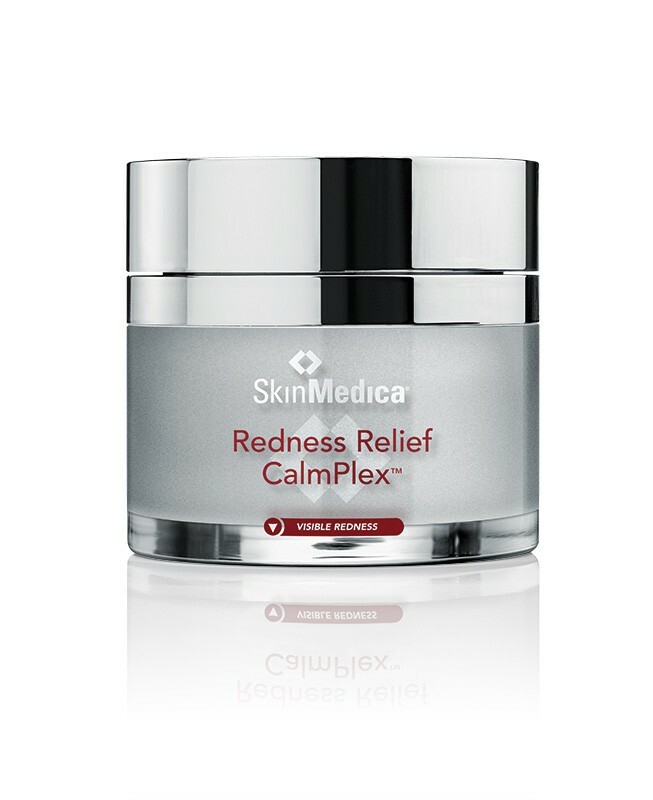 SkinMedica Redness Relief CalmPlex has an RRP of $156.40 and is in salons now. For New Zealand stockists telephone 0800 238 754.